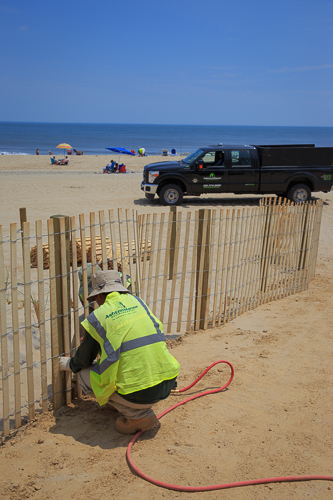 Beginning the 3rd year of a 3-year contract, Ashton Manor Environmental has spent numerous months over the last two winter seasons repairing clay crossover walks and the associated hand railing system, rope fence to protect the dune grass plantings, as well as 500,000 units of the grass itself. 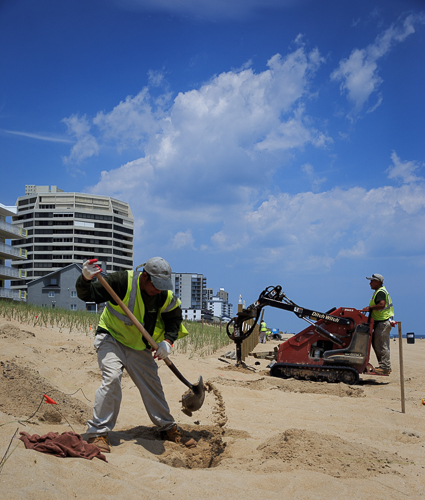 The Winter of 2016 will continue this regime. 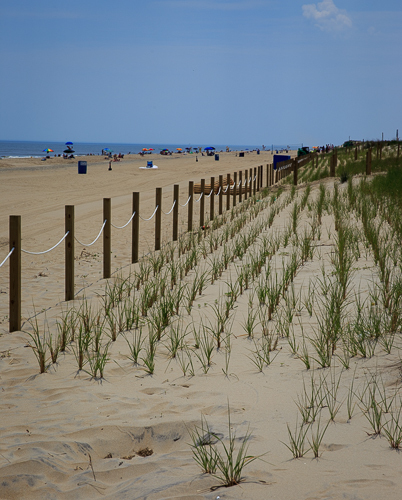 The sand dunes are continually being altered and eroded by coastal storms and tidal patterns. 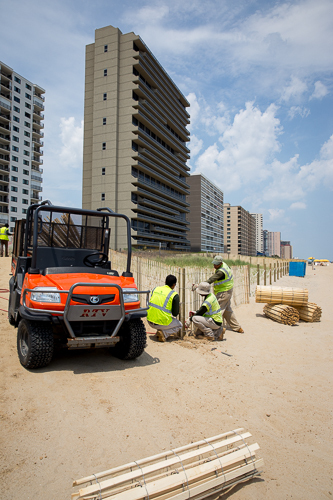 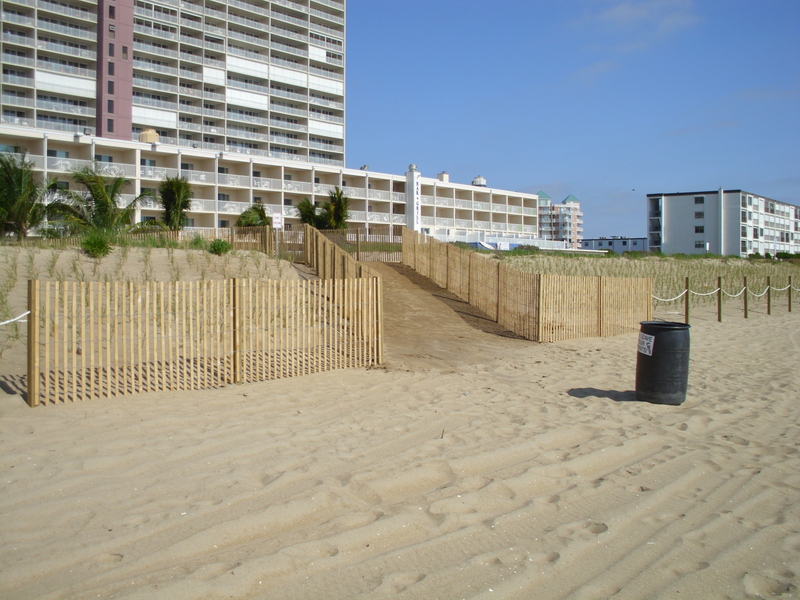 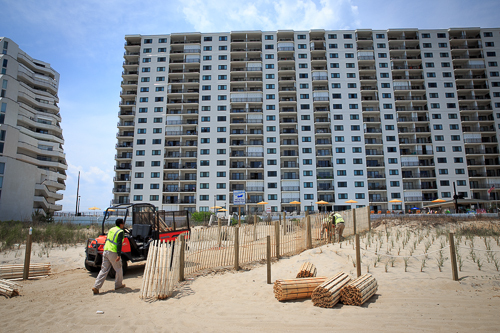 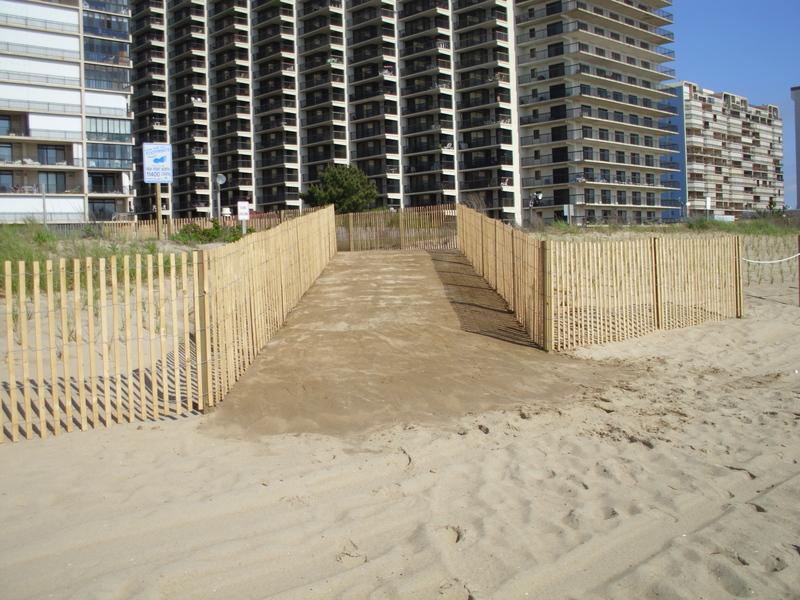 These dunes protect the adjacent buildings, roadways and city itself from the Atlantic. 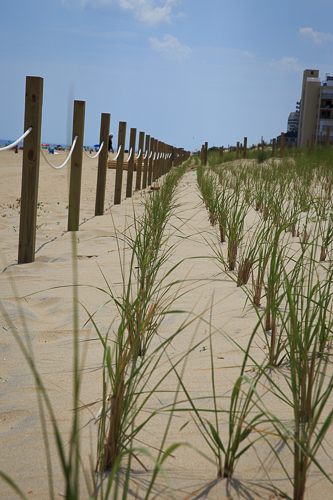 Hundreds of thousands of beach grasses are planted to stabilize the sand dunes and create a functional and visual buffer. 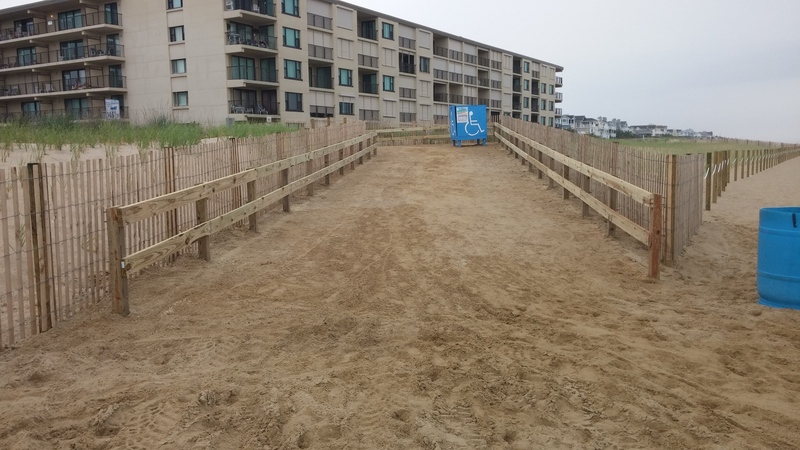 As a result of Hurricane Juaquin, Ashton Manor Environmental mobilized 4 track machines this past October to clean out all of the sand cross-overs (the walkways where the public can enter the beach from each street) from 28th street to 145th street.